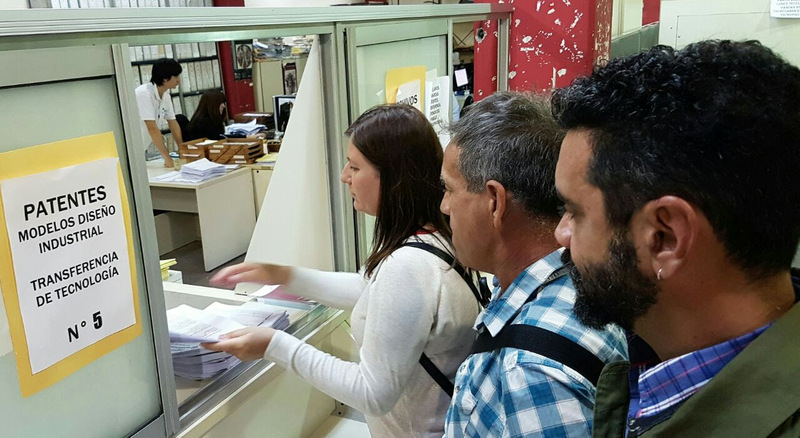 BUENOS AIRES, February 14, 2017 – The GEP Foundation and Intiative for Medicines, Access and Knowledge (IMAK) filed yesterday an opposition at the National Institute of Industrial Property (INPI) to the patent request by multinational pharmaceutical company Gilead on the base compound of sofosbuvir, a drug that represents the cure for hepatitis C. The action means a great step to defend Public Health and ensure access to treatment for the 800,000 people living with hepatitis C in Argentina. Gilead seeks to illegitimately patent the drug in order to benefit from a monopoly on its marketing that allows it to impose extortionate prices and block the existence of much more affordable generic versions. The Public Health crisis that hepatitis C represents in Argentina makes it imperative for infected people to access newer and more effective treatments. Sofosbuvir combined with other therapies has the potential to cure more than 95% of patients, but it is known as well for its exorbitant market price (US $ 84,000 in the United States, where it has been called “The pill of the Thousand dollars”) even though a recent study by the University of Liverpool has shown that sofosbuvir could be produced for $ 86. “Gilead is seeking several patents on sofosbuvir globally, which according to our technical analysis do not meet the legal requirements of patentability. This is the reason why we, the communities and civil society organizations are presenting oppositions today as a way to contribute to the appropriate examination of the Patent Office (INPI), providing arguments and evidence demonstrating that Gilead patent applications do not meet legal requirements, as well as requesting the rejection of patent applications on sofosbuvir. Gilead blocks millions of people in high and middle income countries from accessing new treatments that cure hepatitis C, which ends up costing their lives. In seeking patent monopolies in Argentina, Gilead is trying to control the domestic market, which currently has two local producers who have recently entered the market offering generic versions of this drug up to four times cheaper. If the patent for sofosbuvir is granted in Argentina, local producers will be forced to leave the market” said GEP’s Executive Director Lorena Di Giano. GEP’s President Pablo García stated that “Treatment with sofosbuvir cured the hepatitis C infection with which I lived for 13 years, and thus saved my life. However I had to acquire the treatment in 2015 in India, with great effort and complications, due to the fact that the medicine is much cheaper there. We work for everyone in Argentina to have unhindered access to the relief represented by the cure“.